the Teacher Effectiveness for Language Learning (TELL) Framework tells us. I was sitting in a meeting the other day listening to one of the publishers of new textbooks for the state of Texas, when it came home to me once again what a mammoth task confronts the language teacher in terms of the selection of resources. About the time we began to realize that the true use of language is in the real world and that students need to confront authentic oral and written text created in the real world, technology took a giant leap forward. The internet became readily available, and suddenly blog posts, newscasts, ebooks, magazines and any other number of text sources became available for use in the classroom. Teachers greeted this windfall of resources with the enthusiasm it deserved, but they soon discovered that pulling resources adequate for their purposes in the classroom took an unbelievable amount of time and energy, and that often, after a tremendous investment of said time and energy, the resource didn’t work, and they were hard-pressed to explain exactly why. What is the expected learning outcome for this lesson? It’s that old adage—begin with the end in mind. A lot of us think of backward design as something that’s done in curriculum writing, but it pays to do lesson planning the same way. It is tempting to browse the internet, the textbook, or the various supplemental resources in our classrooms and from some resource we choose, derive a learning target. The result is often a mismatch between what happens daily in the classroom and the students’ proficiency targets. 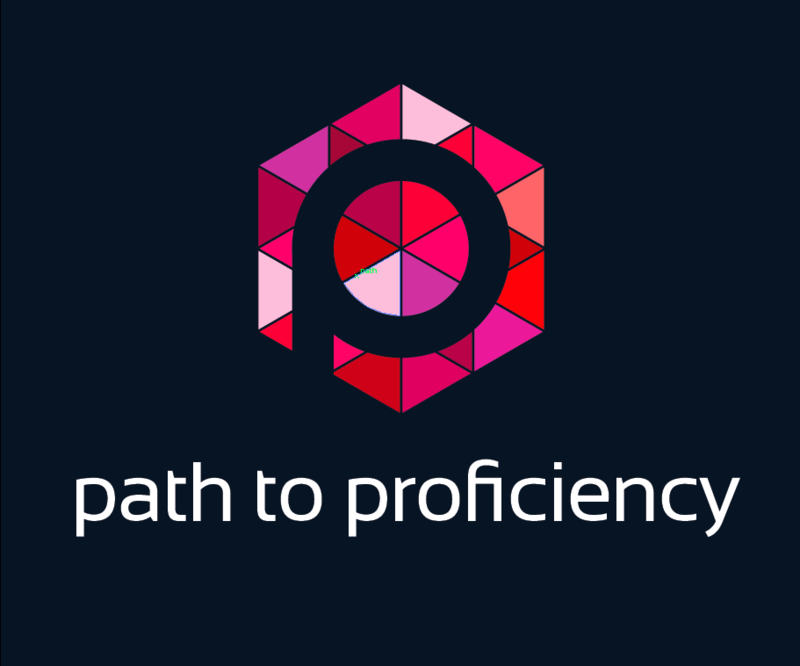 If we begin by establishing proficiency targets with the students, we are led to ask what skills the students need to acquire in order to reach that target. Those skills then become learning targets, and both we and the students have a solid idea of where we are going. Now it is much more likely we will choose resources that can lead to the expected outcomes. What are the particular needs and interests of my students? We know that text is most engaging when it is relevant, appropriately rigorous, and has an emotional connection. Any piece of text that is chosen in light of the day’s learning targets merits a second look to see whether or not it is interesting to the students and will engage them. For example, a formal letter is not as likely to engage students as an email or a quote from Facebook, Twitter, or some other social media outlet. Letters are not highly relevant to today’s student, but students use social media every day. The challenge is to find text from social media that is sufficiently rigorous to stretch the students’ decoding and comprehension while having an emotional component—excitement, disappointment, anger, fear—that is age appropriate and engaging. Does this text add to my curriculum and meet a need in my classroom? There is a real temptation when we are searching for resources to go after the “shiny thing”—the resource that looks new or intriguing or fun to use. We need to exercise great care to be sure the text we are choosing fits into the overall learning plan. Many teachers sacrifice significant, precious instructional time only to find that the resources they have pulled don’t quite serve their intended purpose. A new resource needs to do more than break the teacher’s boredom or engage the students. The use of any resource must advance the ball in terms of the students’ language acquisition. What can I do if I cannot locate something that fits my needs? Sharing is the teacher’s best friend. The most effective teachers I know are those who have built a network for sharing ideas and resources such that they feel they are part of a team. These teachers are continually growing and improving their craft, and they have more time and energy for family and activities other than teaching. There are a number of blogs and websites that are wonderful places for sharing. No question. There is, however, no substitute for sharing with close colleagues in your school, your district, or your region. Just remember that sharing is a two-way proposition. Don’t hesitate to share what you find of value. When we work together, we can provide learning tools that allow our students to acquire the skills to use their new language in the real world. Taking a piece of text, auditory or written, and turning it into a real learning tool is a demanding task. There are so many different elements to consider. Does this text fit well into my overall curriculum and move us toward the learning target? Does it meet a particular need for one or more of my student? Is it age appropriate in terms of content and interest? Can the students effectively interact with this text and thus acquire or solidify some new skill(s)? Who can help me if I’m struggling with a given resource? With whom can I share the outstanding resources I find? Agreed. It boggles the mind. If, however, we systematically consider the questions noted above, we can arrive at some tools that will help us provide some extremely profitable learning experiences for our students.